With all the recent high profile hacks occurring across the globe it is becoming readily apparent that encrypting data in transit is no longer enough. Beyond email, files and documents stored in cloud-based repositories are also at risk of being exposed. SendSafely Workspaces combines the Fort Knox-like security and privacy of SendSafely with the collaboration features of document-sharing platforms like ShareFile, SharePoint, Box and Dropbox. Support for folders and subfolders lets you keep files organized. Version control lets you see and access prior copies of each file after they are updated, and you can restrict access so that only the most recent copy of each file is viewable by others. Share content with others with varying levels of access. Each Workspace is completely isolated, and can be shared with a different list of users. Viewers can only download files, while contributors can create and update files and folders in the Workspace. 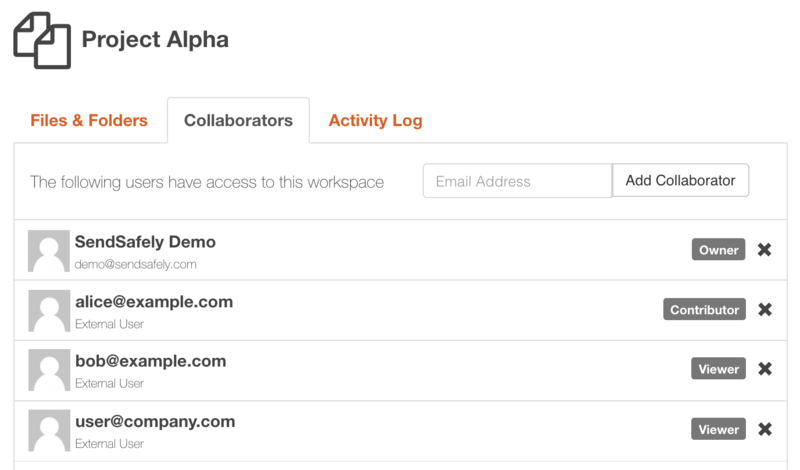 You can even delegate admin rights within each Workspace so that other users can manage the list of Workspace collaborators. 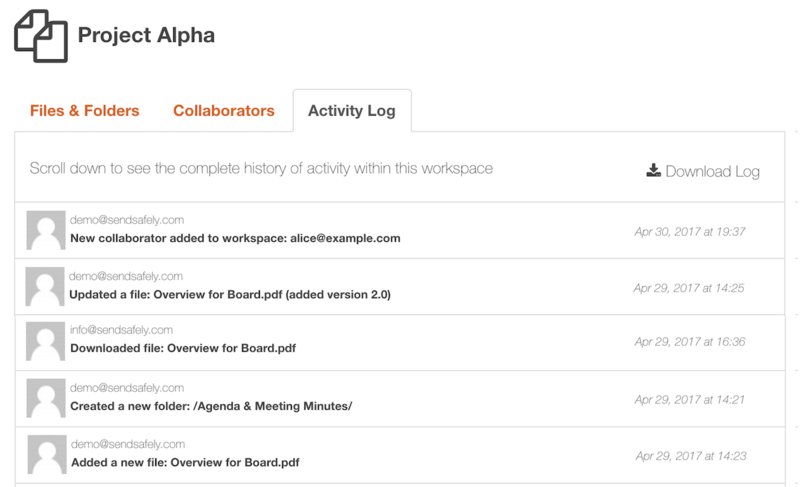 Every action your collaborators take within the Workspace is logged so you can keep track of who's doing what. You can even export the activity log so it can be imported into another system for analysis and reporting. For more information or questions regarding SendSafely Workspaces, you can email our support team at support@sendsafely.com.